I recently posted a little blurb about me for the One Lovely Blog nomination. Had I been answering specific questions, you may have found out that my favorite alcoholic drink is whiskey. That may come as a surprise to most of you, but those who know me know that I love a nice Jack Daniels if I’m out on a weekend night. For the record, I am out on a weekend night about three times a year these days. Being a baker means early weekend working hours. Our St. Patrick’s Day will likely involve playing lots of cards with our roommates, which is exactly what we were doing when I made these this week. When I do have a drink, it’s usually a fun whiskey cocktail that strays from the average jack and coke. The inspiration for this St. Patrick’s Day cocktail is nice and refreshing for spring. If you can’t imagine that this tastes good, try it. 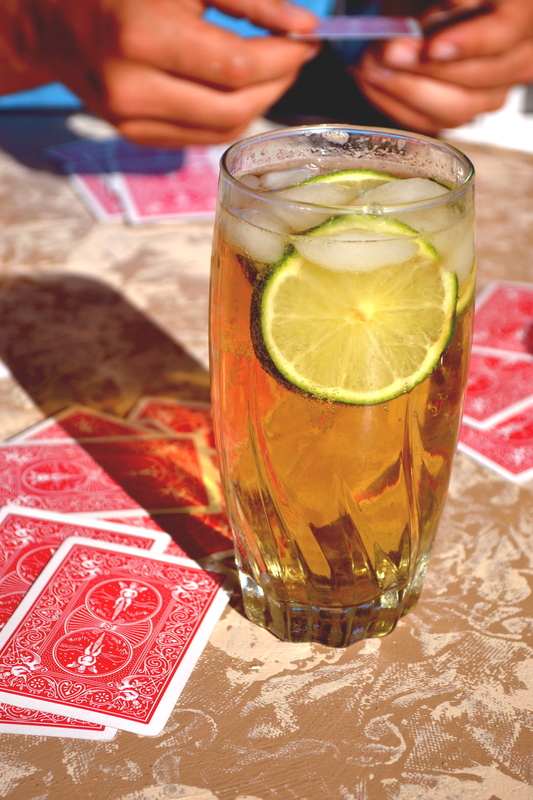 It’s unusual, with contrasting flavors of honey and lime, but with just the right amount of sweet from crisp ginger ale. It is the pot of gold at the end of this St. Patty’s day menu. Pour the ingredients into the glass and add a nice squirt of lime juice. Garnish with a slice or two of lime.